When you think of air pollution, inevitably your mind wanders to huge, fume spilling power stations, old motor trucks and other nasty things in these lines. Surprisingly enough, researchers at University of California, Riverside, found that charbroiled burgers, chicken, and steaks are behind much of Southern California’s air pollution, topping even diesel engines. These findings were made after UC Riverside scientists conducted a study on commercial cooking emissions. They found that the particle emissions end up in high amount in the atmosphere, ultimately contributing more than diesel engines to the area’s ongoing air pollution problem. That’s a thought worth chewing for a bit, maybe during your next launch break at your local diner. The researchers found that during the grilling of meat, grease, smoke, heat, water vapor, and combustion products are released, in high amounts since no kind of regulations are in place at the moment. Filtering equipment is expensive, and in lack of a legal constriction or know-how for that matter, restaurant owners and cooking equipment producers alike have no intentions in making these more environmental friendly. In 2007, the San Joaquin Valley Air Pollution Control District (SJVAPCD), one of the partners which offered funding for this present study, reported that commercial cooking is second-largest source of particulate matter in the South Coast Air Basin. A solution has already been proposed and is currently in testing phase – a device that removes grease from the exhaust and traps it in water. 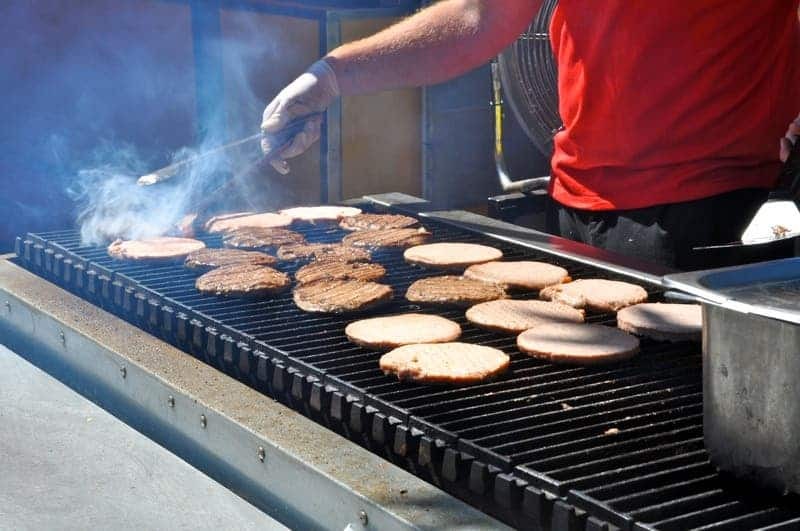 Testing, of course, involves grilling a lot of hamburgers or the likes, which UC Riverside scientists say will donated to a Redlands Regional food bank.